This column was written by Nile Gardiner. Tony Blair's departure from Downing Street potentially marks the end of an era in U.S.-British relations. His extraordinarily close partnership with President Bush since the 9/11 attacks defied all expectations and provided the engine for the global War on Terror. In the past six years, the alliance between the United States and Great Britain rose to its strongest point since the days of the Cold War bond between Ronald Reagan and Margaret Thatcher. Today, more than 12,000 British troops fight alongside their American counterparts in Iraq and Afghanistan, and London and Washington are cooperating on dozens of counterterrorism operations across the globe. The enduring strength of the alliance is the envy of the free world, and the French president or German chancellor can only dream of the kind of direct access to the White House that is the preserve of the British prime minister. The special relationship is, however, under threat, and stands in a precarious long-term position. There are major challenges on the horizon, including the stunning rise of anti-Americanism in Britain, growing attempts by the al Qaeda network to break the alliance, as well as the continuing loss of British sovereignty in the European Union. The relationship cannot be taken for granted, and protecting and defending it should be a top-level priority for the U.S. government. There is growing public animosity in the U.K. toward the alliance, and widespread disillusionment with American global leadership, across all political parties, social classes, and age groups. In a September 2006 Financial Times/Harris poll, a striking 33 percent of Britons surveyed described the United States as "the greatest threat to global stability. "(Just 21 percent named Iran, and 10 percent, North Korea.) Nearly 70 percent of Britons questioned in an October 2006 Guardian/ICM survey stated that U.S. policy had made the world "less safe" since 2001, and 75 percent agreed that President Bush was "a great or moderate danger to peace", more than the 62 percent scored by Mahmoud Ahmadinejad and the 69 percent by Kim Jong Il. In a June 2006 Daily Telegraph/ YouGov poll, 77 percent of those polled disagreed with the view that the United States was "a beacon of hope for the world," and 58 percent supported the description of America as "an imperial power." Sixty-seven percent of respondents expressed "little or very little confidence" in "the ability of the United States to deal wisely with present world problems," and 65 percent supported the view that U.S. policies made the world "a somewhat or much worse place to live in." A July 2006 Guardian/ICM poll found that 63 percent of Britons thought the UK was "too close to the USA," and just 9 percent of British respondents in a March 2007 YouGov poll agreed with the proposition that "Britain should continue to base its foreign policy on its close relationship with the United States." If these poll findings are cemented over the next few years and become part of an irreversible trend, the ramifications for future British policy toward the United States will be immense. They reflect a commonly held, though hugely unfair view among the British public that Britain under Tony Blair has become America's "poodle," receiving nothing in return. Blair's unyielding support for President Bush perversely weakened the prospect of future British leaders standing shoulder to shoulder with the United States. His successor, Gordon Brown, will be heavily dependent upon the traditional socialist Left of the ruling Labor party for support, and will be under pressure not to emulate the close Bush-Blair partnership. A frequent visitor to the United States, Brown's instincts are far from anti-American, but those of his party certainly are. He will undoubtedly seek to create some distance between Washington and London, and will prioritize 'soft' issues, such as international development, foreign aid, and global warming. The high-profile, flashy public press conferences that were a regular feature of the Washington political scene when Blair was prime minister, are likely to replaced by low key, but tougher behind the scenes negotiations, with Brown cutting a far less dashing figure on the world stage. While there is no prospect of a British withdrawal from Afghanistan — in fact more troops are arriving every day — a further deterioration in the security situation in Iraq and a significant loss of British troops would greatly increase the pressure on Brown to withdraw Britain's remaining 5,500 soldiers from the country, unilaterally if necessary. It will certainly be the goal of Tehran to force the British out of Shiite-dominated southern Iraq, breaking down the international coalition, and increasing the political pressure on Congress to force the withdrawal of U.S. forces from the country. The Iranians will also seek to split Britain from the United States in dealing with Iran's nuclear program, and probe weaknesses in the alliance at the U.N. Security Council. Al Qaeda's will also try to split the U.S.-U.K. alliance, the central bulwark against its totalitarian world vision. It will seek to raise the cost of British support for the United States and Israel, and test the determination of the British public. More attacks on U.K. interests in the Middle East and Africa, as well as bombing campaigns on British soil are likely. Though it failed with the July 7, 2005 London bombings, partly due to Blair's strong response, al Qaeda will attempt to recreate the "Madrid effect" in Britain. Al Qaeda will also seek to foster political tensions between London and Washington by cultivating British-based Islamic terror cells to act against transatlantic targets. A major suicide attack on an American airliner for example, by a British citizen or British-based terrorists, resulting in huge loss of American life, would place a massive strain on the relationship. Britain's ability to combat the extensive networks of Islamic militants operating within her own borders is being compromised by further political integration into the European Union — another threat to the future of the special relationship. The European Convention on Human Rights, introduced into British law by the Blair government through the Human Rights Act of 1998, severely restricts Britain's ability to detain terror suspects, and is part of Brussels' ever increasing encroachment upon British national sovereignty. The new EU treaty, agreed last week by European leaders as a replacement for the failed Constitution, further entrenches the centralization of political power within Europe, paving the way for the creation of a European foreign minister, a permanent EU president, and a European Union diplomatic service, all trappings of a fledgling superstate. In addition, Britain will sacrifice her veto right over EU decisions in 40 policy areas. With the rise of Europe's Common Foreign and Security Policy (CFSP) as well as European Security and Defence Policy (ESDP), Britain's ability to stand alongside the United State where and when it chooses to do so, will become increasingly compromised. An America without Britain alongside it would be more isolated, largely friendless, and far less likely to project power on the world stage. For Washington there is no real alternative to the special relationship. Its collapse would be damaging to America's standing as a global power and significantly weaken America's leadership of the War on Terror. If the U.S. loses Britain, she loses Europe too. Britain plays a key role in mobilizing coalitions in Europe, as demonstrated by Tony Blair over Iraq. The U.S.-British-led Iraq coalition included 21 European countries, and 12 out of 25 members of the EU. Britain is a 'global enabler' — she lacks U.S.-level power militarily, but retains significant political influence and standing on the world stage. Britain possesses extraordinary coalition-building capacity in Europe, due in part to an exceptionally experienced and well-trained diplomatic corps. The U.K. is the natural leader of relatively pro-American countries in the EU, including the New European nations of Eastern and Central Europe, as well as the Scandinavian countries and West European nations with large-scale U.S. investment, such as the Netherlands. Britain maintains a healthy balance of power in the EU between the Franco-German axis (now allied with Italy and Spain) and the aforementioned countries. If the special relationship ends, many smaller EU nations will look to Brussels and not to Washington. Without Britain at her side, the United States would face the prospect of waging future wars on her own, or with the support of relatively minor allies, unless the conflict is sanctioned by the Security Council. A scenario like the Iraq War, where Washington took military action without a U.N. resolution but still had significant Allied support, would never be repeated if the special relationship ended. A breakdown in the U.S.-U.K. alliance would also have damaging implications for transatlantic cooperation over intelligence-sharing and missile defense. Echelon, the Anglo-American global surveillance system, would be threatened by a rift between Washington and London. The ability of the United States to operate an effective global missile defense system would also be impaired. The end of the special relationship would ultimately strengthen the hand of isolationist U.S. politicians who advocate a less forceful foreign policy. The U.S.-U.K. alliance is an important anchor that helps tie the United States to a more global-oriented outlook. Its demise would encourage a greater "fortress America" mentality on Capitol Hill, with calls for increased protectionist barriers, and the withdrawal of U.S. forces from Europe and other parts of the world. The end result would be a United States with a more limited role on the world stage, and a reduced projection of power — a recipe for long-term decline. 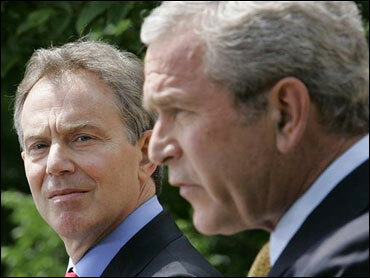 A world without strong joint Anglo-American leadership would be unimaginable, and a far more dangerous place. Commitment, resolve, and renewal on both sides of the Atlantic will be needed in order to preserve the U.S.-U.K. alliance. The United States must implement a sustained and effective public diplomacy campaign aimed at winning over hearts and minds in the United Kingdom, as well a long-term strategy aimed at helping preserve and strengthen British national sovereignty in Europe. It is a partnership that must continue to flourish if the West is to defeat the scourge of global terrorism and defend the cause of liberty and freedom across the world. As Margaret Thatcher so eloquently put it, "Whatever people say, the special relationship does exist, it does count and it must continue, because the United States needs friends in the lonely task of world leadership. More than any other country, Britain shares America's passionate commitment to democracy and willingness to stand and fight for it. You can cut through all the verbiage and obfuscation. It's really as simple as that."